$110.775 thousand on 6 screens. Back in 2009, the Oscars expanded the number of Best Picture nominees. The films of 1943 offered the last earlier year with more than five picks, but – in what should probably be called “The Dark Knight Rule”, since that film’s lack of Best Picture consideration fanned the flames – the movie crop of 2009 bumped the roster back up to 10. It stayed there for two years but got modified again when it came time to nominate the films of 2011. Oscar decided that only flicks that received at least five percent of the first place nominations would then get the coveted Best Picture nod. This meant we could find a minimum of five to a maximum of 10 nominees each year. 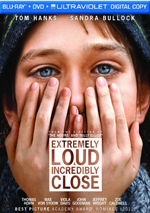 For 2011, we got nine, and none proved more controversial than Extremely Loud and Incredibly Close. I guess one could argue that The Tree Of Life raised more eyebrows as a film – it was certainly the most “love it or hate it” of the bunch – but it did earn pretty positive praise from the critics and was regarded as daring and beautiful despite its less than tight narrative. On the other hand, Loud got decidedly middling reviews. A glance at Rotten Tomatoes shows that the other lowest-rated movies - War Horse and The Help - still snagged “fresh” ratings of 76 percent. Loud, however, fell below that level – way below, as it happens. The film snagged a rating of 45 percent, which plopped it in the much dreaded “rotten” territory. How did a movie with so many bad reviews get a Best Picture Oscar nomination? I guess it had a strong enough platoon of admirers to bolster it to that territory, though one shouldn’t count me among them, as I agreed with its detractors. Thomas Schell (Tom Hanks) dies in the 9/11/01 attacks on the World Trade Center. He leaves behind his wife Linda (Sandra Bullock) and nine-year-old son Oskar (Thomas Horn). Though apparently not diagnosed with any particular disability, Oskar shows indications of something along the autism spectrum, so he doesn’t deal with the world around him particularly well. Thomas connects well with the boy and can develop Oskar’s unique talents while he minimizes the child’s flaws. With his dad gone, Oskar finds himself emotionally adrift, and Linda’s grief makes it more difficult for her to help him through this difficult time. One year later, Oskar accidentally breaks a vase and discovers a key inside an envelope simply labeled “Black”. Oskar feels this offers a final chance to connect with his dad; they shared many quests together, and this gives him one more opportunity to keep his father’s spirit alive. This sets Oskar on a long and emotional journey to find the meaning of the key and what it unlocks. Earlier I referred to the film’s polarizing nature, and I experienced that firsthand when my girlfriend and I saw it theatrically. I disliked it, she loved it, and we fought about it the whole drive home. Once she gets her own movie website, you can hear her defense, but until then, you’re stuck with me. Not to say that I think Loud is a terrible film; even with its flaws, I remained moderately interested in it. Granted, I thought the movie “played long”; it runs 129 minutes, but when I left the theater, I was sure it was at least half an hour longer. Still, I can’t say I was bored, so the movie wasn’t a total loss. However, I think it still suffers from a surfeit of weaknesses, some of which become more off-putting than others. Rarely can I think of a movie that tries so hard to provoke an emotional response and yet fails so miserably. That might just be me; my girlfriend wept during the film, and I know others in the audience did the same. But I never vaguely felt pushed toward tears, and that surprised me given the power of the film’s context. 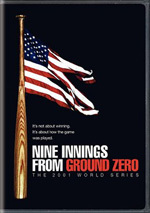 Like virtually all the movie’s viewers – since I doubt it’ll appeal to the pre-teen crowd – I remember the tragic events of 9/11 well, and programs that relate to it prompt an almost unavoidable lump in my throat. I’m not above being manipulated by filmmakers, and I can be brought to tears. Titanic totally zapped me in 1997, and it still creates an emotional response in me whenever I see it. No one can claim that Jim Cameron didn’t use every cinematic technique in his bag to push for the maximum emotional response from the viewer. He simply did it better than Stephen Daldry, though, and he had the benefit of a story that didn’t seem as eager to exploit tragedy. Possibly my biggest problem with Loud stems from my strong belief that the 9/11 elements are utterly superfluous. They’re essentially a MacGuffin and don’t need to exist. If Thomas died because he got hit by a bus, the movie’s story would progress almost entirely unchanged. I can think of nothing in the film that requires it to connect to 9/11. One can’t say that about Titanic, though my girlfriend tried. She claimed that Titanic exploited a tragedy for its own emotional ends, but I disagree. The difference is that Titanic is about the Titanic and its sinking. If you walked in off the street and had never heard of that incident, you’d get a pretty decent little history across its three hours. Yes, it uses a fictionalized romance to help tell the tale, but that story couldn’t exist without the backdrop of the Titanic – and the made-up characters actually help involve us in the real events that we learn of through the film. In no way, shape or form does Loud educate the viewer about 9/11. It assumes that we already know what happened and that we don’t need more information. While it alludes to various circumstances – the planes that hit the tower, their collapse, jumpers, etc. – it actually tells us next to nothing about them. The filmmakers understand that we’re fully aware of these events and don’t need for them to be spelled out for us. And they’re right, but that’s the problem. Because virtually every viewer of Loud will remember 9/11, no one can say the movie acts as a history lesson. It’s a character’s journey that has nothing to do with 9/11; those events just create a context. The use of that tragedy as the film’s backdrop seems cheap and easy. 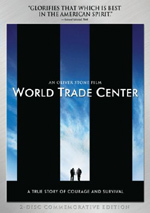 I get the impression the filmmakers figured 9/11 would act as emotional shorthand and make their job easier for them. Why bother to create feelings based on characters and story when we can simply remind people of a tragedy and yank extra tears that way? The same criticism cannot be leveled at Titanic because of the historical distance. While I know a few who remembered the events of 1912 saw the film, that’s an audience that couldn’t have leapt above low double digits; when a movie comes out 85 years after an event, very few people will be able to offer first-person recollections of it. That obviously wasn’t a concern for Loud. As I’ve noted, virtually its entire audience consists of people who remember 9/11 firsthand – and remember it well. This isn’t some musty old memory from decades ago that only a small percentage of the audience will recall; it’s still an active pain seared into the collective consciousness. Which makes the filmmakers’ eagerness to exploit it for cheap tear-jerking all the more problematic. I’m fine with movies about 9/11, and I’m fine if those paint an emotional picture. I’m not fine with a flick that takes the day’s tragedy and cynically uses it as easy emotional fodder, which is what the folks here do. Even without this inherent problem, Loud would be lackluster. It presents an intensely contrived narrative that beggars credibility. Too many coincidences must occur for it to work, and it telegraphs too many plot points. Oskar creates a distinctly problematic lead character, as he’s simply damned annoying. I understand that he’s intended to be irritating, but the film leavens his shrillness with far too few sympathetic sequences. Oskar offers an awfully off-putting character with whom to spend so much time, and make no mistake: he’s rarely off-screen. Hanks and Bullock may get top billing, but rarely a moment passes without a glimpse of Horn’s mug. By the way, the film’s apparent assertion that psychologists didn’t offer a conclusive diagnosis of his Asperger’s Syndrome is ridiculous. This kid’s so obviously well along the autism spectrum that it’s not even funny. Yeah, I understand that the Oskar we see gets pushed to the extreme end due to his grief – and his inability to cope with his loss – but it doesn’t take a great psychologist to figure out that this kid has a serious disability. Not that one should expect Loud to offer a great portrait of the nature of that disability; like most movies, it takes a “pick and choose” approach to the manner in which it showcases the various traits. It also makes some bizarre missteps, that most blatant of which occurs toward the movie’s end. We see that Oskar finds a small newspaper clipping in which his dad apparently circled “notstop looking”. Oskar takes this as a sign from the grave and focuses his hopes on that small highlighted phrase. However, it turns out that his dad actually circled a phone number on the other side of the paper. Let me see if I get this straight: the world’s most detail-oriented and analytical kid never bothered to look at the other side of the clipping? That’s insane at best and idiotic at worst. I understand why we got stuck with this plot device: if Oskar sees the number, he calls it and the film ends. Still, it’s a ridiculous contrivance that makes me want to slap the director in the head. “Ridiculous contrivance” seems like a good phrase to describe Loud as a whole. At its best, the movie suffers from notable flaws like the plot issues, desperate pleas for tears and character concerns. However, it might’ve been able to survive those. I can’t forgive it the crass, cynical manner in which it attempts to use tragedy for its own ends. If the filmmakers lacked the confidence that they could evoke emotion without cheap references to 9/11, they shouldn’t have made it. Extremely Loud and Incredibly Close appears in an aspect ratio of approximately 2.40:1 on this Blu-Ray Disc. Across the board, the transferred looked great. Sharpness never faltered. At all times, the image seemed accurate and concise, without a hint of softness. I noticed no jagged edges or moiré effects, and the presentation lacked apparent edge haloes or other artifacts. I also saw no print flaws, as the movie always seemed clean. In terms of colors, Loud reflected Hollywood’s modern fascination with orange and teal – to a degree, at least. While it didn’t swim in those tints, it showed them in a moderate manner. Still, the colors were reasonably appealing and they looked fine within the design parameters. In addition, blacks were dark and tight, while low-light shots exhibited nice clarity and smoothness. I felt pleased with this image. 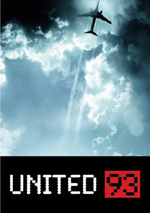 As for the film’s DTS-HD MA 5.1 soundtrack, it added breadth to the experience. With its focus on characters, the movie didn’t deliver a rock-em-sock-em soundscape, but it managed to open up well, especially when it dealt with the many street scenes; those showed a nice sense of the New York atmosphere. A few louder sequences – usually connected to 9/11 or Oskar’s fears – made more dynamic use of the spectrum, but those didn’t pop up with great frequency. Instead, the emphasis on general environment remained, and that was fine. I felt the soundfield fit the material nicely. Audio quality always pleased. Speech remained natural and concise, with no edginess or other flaws. Music sounded full and dynamic, while effects came across as accurate and clear. All of this suited the film well and earned a solid “B+”. Only a smattering of extras fill out the set, most in the form of featurettes. Making Extremely Loud and Incredibly Close goes for 19 minutes, 47 seconds and offers comments from director Stephen Daldry, producer Scott Rudin, costume designer Ann Roth, production designer KK Barrett, dialogue supervisor William Conacher, and actors Sandra Bullock, John Goodman, Thomas Horn, Tom Hanks, Zoe Caldwell, Jeffrey Wright, and Viola Davis. This show looks at the source novel and its adaptation, cast, characters and performances, costumes and production design, sets and locations, and Daldry’s work on the shoot. While never a hard-hitting program, “Making” delivers a perfectly decent promotional piece. It’s not the most informative I’ve seen, but it’s informative enough to merit a look. For a look at casting, we go to Finding Oskar. This fills seven minutes, 50 seconds with notes from Bullock, Horn, Conacher, Daldry, Hanks, Davis, and Wright. We learn how Horn got the role as well as challenges working with the inexperienced young actor. Inevitably, some of this devolves into general praise for Horn’s talent, but it offers a smattering of good insights into the requisite issues. Ten Years Later lasts 11 minutes, 25 seconds and features Daldry, leadman Gerald A. Detitta, on set dresser Nicholas Detitta, relatives of 9/11 victims Daniel McGinley, Stephen Mulderry, and Tuesday Children’s Kathy Murphy and Kathy Gable. We learn of how McGinley’s picture appeared in the film’s “memorial wall” and how it affected those connected to McGinley. This gives us a decent look at the issues related to 9/11 survivors, though it tends to feel more like back-patting for Loud than anything else. Still, it’s a nice way to remember McGinley, so it accomplishes that. Finally, Max Von Sydow: Dialogues with the Renter occupies 44 minutes as it takes us to the set. Though the title leads one to think it’ll include copious comments from the actor, that’s not the case; we get occasional on-the-fly remarks captured during the shoot, but the vast majority of “Dialogues” sticks with candid footage. We get to follow Von Sydow through his days on the film and watch him at work. This becomes a pretty cool perspective and helps make “Dialogues” easily the best of the Blu-ray’s extras. A second platter provides both a digital copy of Loud for use on computers or digital portable gadgets as well as a DVD copy of the film. This lacks the Blu-ray’s extras. A rather polarizing movie, I find myself on the list of those actively unhappy with Extremely Loud and Incredibly Close. The movie works too hard to manipulate the viewer and does so in a crass, cynical manner that exploits tragedy for a cheap emotional jolt. The Blu-ray comes with excellent visuals, very good audio and an average set of supplements. I think the Blu-ray presents the film well but can’t recommend this exploitative weeper.